Need a developer to build your next exciting web project? If your here considering to hire me keep reading. I am an experienced LAMP (Linux Apache MySQL and PHP) developer and consider myself proficient in designing, implementing and maintaining web applications. 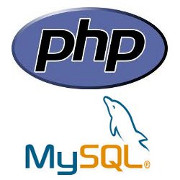 I have experience with many php frameworks including Symfony2, Codeigniter, Zend and FuelPHP. Faker - A Comprehensive test data generator based on Doctrine DBAL and Synfony2 Components. 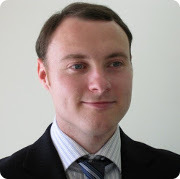 Migrations - A Schema Manager for php based on Doctrine DBAL and Symfony2 Components. LaterJob - A database queue library with metrics for shared hosts. These three projects reflect my abilities and insight as a php developer. I attended the University of Western Sydney during 2005-2010 obtaining a Bachelor of Computing majoring in web-development followed by a year of postgraduate study. Eariler in my life I attended a local training institution (NSW TAFE) 2001-2002 obtaining a Diploma of Business and employed those skills in administrative work for 3 years after which I commenced university study in 2005. After finishing university I commenced freelance work leading to a startup developing web applications for financial services industry called xCoach with disappointing sales ceased operation ended of 2011. In 2013 I started a FOSS project developing a personal budgeting app for ownCloud. I am currently documenting the requirements and developing a design guide and plan to seek other developers once documenation is complete. I continuing to pursue opportunities in 2012/2013 and am pounding the pavements looking for ideas to grow into successful enterprises.